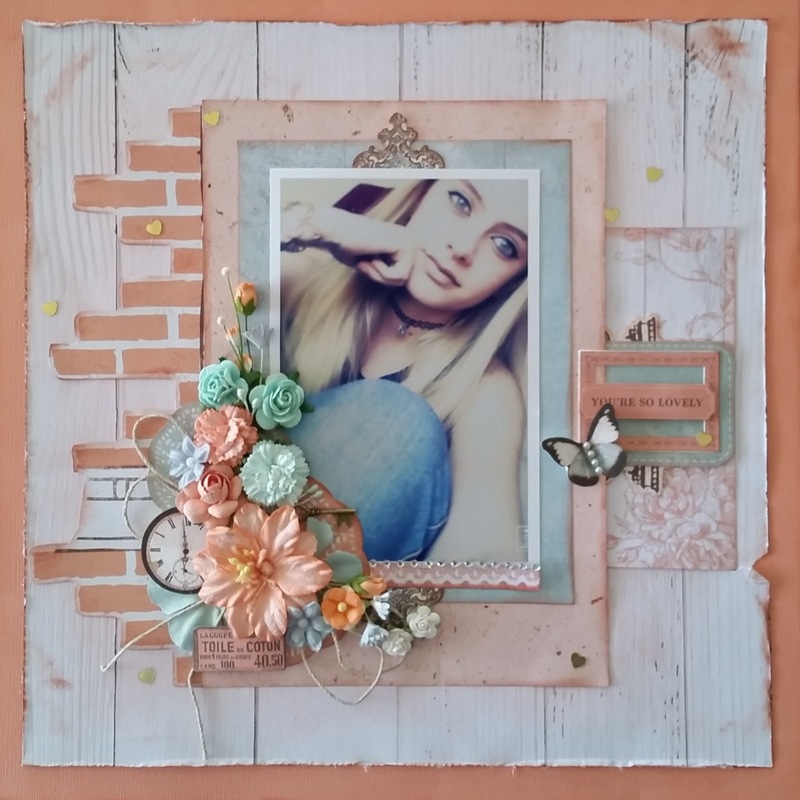 I have used a lovely peach cardstock for my base. I have then cut down the reverse side of the Belle Paper , inked and distressed the edges. I have matted the photo of my gorgeous niece on the reverse side of the Je T'Aime paper and the C'est La Vie paper. The brick wall on the left is cut from the specialty die cut windows paper, and the piece of paper on the right is from the Oui Oui paper. I have added quite a number of lovely pieces from the Collectables - the clock, the doilies, the butterfly and the frame feature to the right of the photo. "You're so lovely" title in the frame is taken from the sticker sheet.